It seems just a few years ago that promoters of digital content predicted that the printed book would eventually become a thing of the past. Current statistics indicate that nothing could be further from the truth. 674 million printed books were sold in the US in 2016, marking the third year of growth in a row. Unit sales numbers in Canada, the UK and elsewhere show the same trend. “Screen fatigue” is the term used for explaining the growing popularity of the printed book at a time when an increasing number of readers are abandoning their ebook readers. In the book industry we are now witnessing the same phenomenon that has led to the revival of the vinyl record – in a commercial environment of streaming services and digital overload, consumers feel drawn to physical products they can own, touch, display, cherish and share beyond the advent of the next digital format that will render their current digital collection obsolete. In the field of corporate history writing, design and publishing, the popularity of the printed corporate history book has remained unbroken, both as a standalone manifestation of a company’s or not-for-profit’s historical record and in combination with digital content applications. As a premium product, a beautifully executed corporate history book serves as a brand ambassador that stands out in an increasingly fleeting world through its elegance, sophistication, and longevity. A corporate history book that keeps the reader engaged to the very last page is all about authenticity. Based on solid research and methodology, its skillfully crafted narrative goes well beyond mere chronology. Organized around an organization’s core values, vision and aspirations, it reveals the true identity and personality of a company or not-for-profit, blending human stories with evolutionary milestones enriched only by proper context. A corporate history book that readers feel compelled to look through over and over again is true to the brand it represents. It displays a design that gently uses brand colors and brand elements without creating the feel of a marketing book. Cutting-edge design creates the visual sophistication and elegance that matches the premium feel created by the book’s third distinguishing feature, its state-of-the-art finishes. 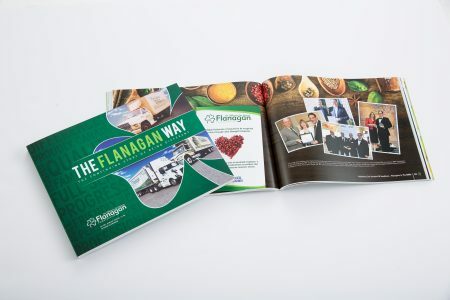 A corporate history book that is popular with stakeholders, employees, customers, and the wider public stands out through the sophistication of its finishes from paper stock and cover material to special style elements like debossing and foil stamping. 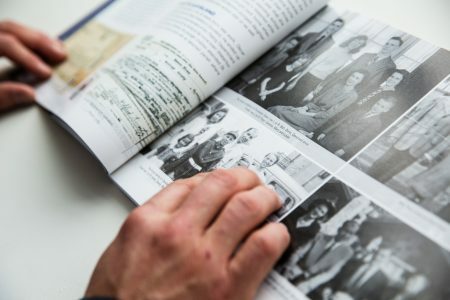 There will always be a place for the printed corporate history book, both as a standalone product and as part of an integrated multi-platform corporate history or anniversary campaign. 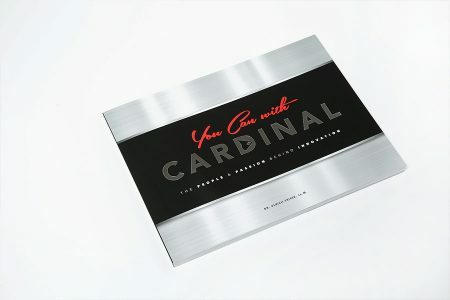 At North America’s leading corporate history agency, Historical Branding Solutions Inc., we apply the same attention to detail to all aspects of creating the finest corporate history books, company history books, business anniversary books, and legacy books for the most discriminate clients: from researching and writing, through design, printing and special finishes.